Hello Linux Geeksters. 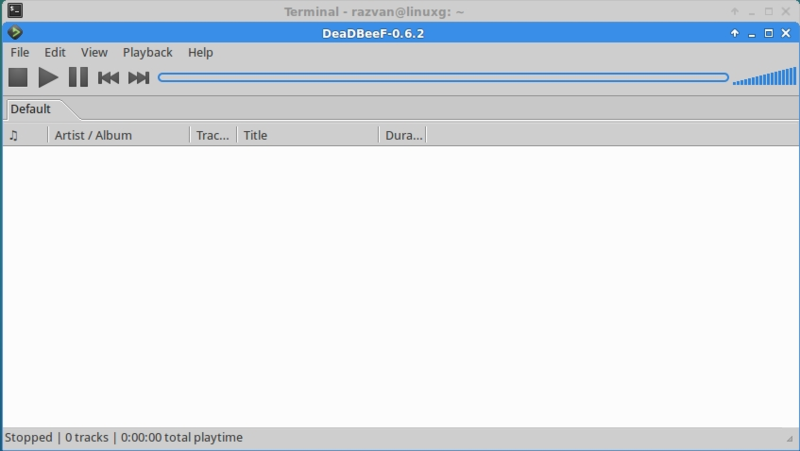 As you may know, DeaDBeeF is an audio player written in C and C++, running on Linux. It supports a lot of formats, like: mp3, ogg, flac/oga, ape, wav, wv/iso.wv, aac/m4a, alac, mpc/mpp/mp+, tta, wma, shn, sid, nsf, mod, s3m, vtx, vgm/vgz, psf, midi, audio cds, all formats supported by ffmpeg, dumb, gme, libsndfile, adplug, and more! The latest version available is DeadBeeF 0.6.2.2, which has been recently released, coming with changes only. In this article I will show you how to install DeadBeeF 0.6.2.2 on the most popular Linux systems, including: Ubuntu, Linux Mint, Elementary OS, Pinguy OS, LXLE, Deepin, Linux Lite, Peppermint, Debian, Kwheezy, SparkyLinux, Fedora, CentOS, OpenSUSE, Mageia and OpenMandriva. DeadBeeF 0.6.2.2 is available as portalble versions (without having dependencies), so installing either of them is easy. Just download the archive, extract it and execute the deadbeef file. To start deadbeef, open a terminal, type deadbeef and hit enter.